The software solutions provided at ALLIED is fast, accurate and reliable. Our strive to achieve perfection will leave you with feature rich integrated software solutions that help you to do more and accomplish more. Ultimate customer satisfaction being our motto, there will be no room for anything other than perfection. So sit back and finally enjoy serene mind. Custom and Web development Services that deliver solutions developed just for your unique business needs. Our custom and web development wing works for the sole fulfillment of catering to the Users various business needs by designing and developing cost effective solutions keeping abreast of the latest technology in mind. Our team is fully committed to creating the right solution expanding your horizons and optimizing your potential. Our first venture is always to understand the needs of the customer and we meticulously work to analyze and better understand it via a robust process refined over many years. Our simplicity and quality, yet timely delivery has garnered highly satisfied and large customer base, across the globe. Customer engagement with an aim to deliver high quality and cost-effective software has been our process since inception and has helped us to continually evolve over the time. Dedicated, skilled and courteous customer care team is there to provide you round the clock professional support. Right from walking you through the products to troubleshooting to any other problems, they would help you with the solution. Customer satisfaction has been our motto right from day one and we are prepared to do so for ever. We have continuously created refined software products that have enhanced and made it easy to use and have been such a delight for our customers. From Pharmaceutical supply chain to Retail, from hospitality to healthcare, we provide tangible benefits to the customer by providing software that excels in services and performance. 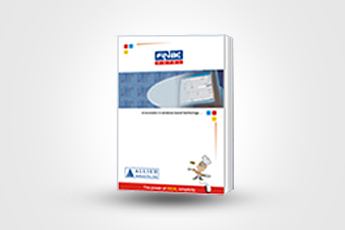 We are one of the few Companies in India offering modular products and services. We create excellent software & services that deliver tangible benefits to the customers from diverse industries like Pharmaceutical supply chain, Hospitality, Healthcare, Retail, etc. We pride ourselves as being one of the few companies in India offering unique, modular products and services. 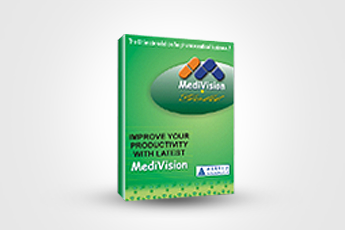 MediVision Gold Retail is specially developed for Retail Medical, Pharmacies and Drug Stores. It covers all aspects involved in running day to day medical retail business activities, covering point of sales, inventory management and accounting up to finalization. 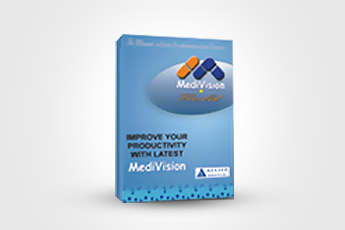 MediVision Gold Wholesale is developed for Pharmaceutical, Surgical, Cosmetics distribution business. It covers all aspects involved in running a day to day medical wholesale distribution business. It covering super-fast billing, superb inventory management, effective control on receivables/payables and accounting up to finalization. 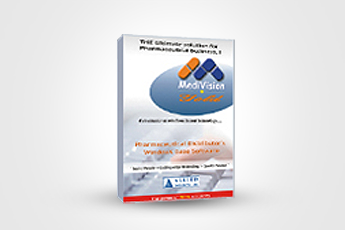 MediVision Gold C&F is a warehouse management software specially developed for Medical, Pharmaceutical, Surgical, Cosmetics C & F Agents, C & A Agents and Super Stockists. It covers all aspects involved in running a day to day medical C&F business, covering point of sales, inventory management and accounting online billing, up to finalization stage. 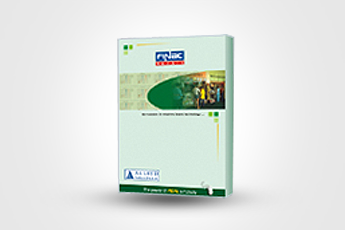 Finac Retail software is ideally suited for managing retail shop. It covers all aspects involved in running a day to day retail business, covering point of sales, inventory management and accounting online billing, up to finalization stage. 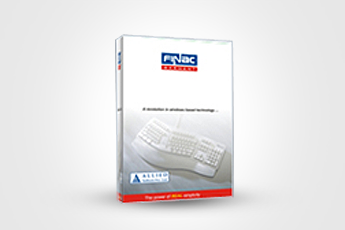 Finac Hotel software is specially developed for Hotel, Restaurant, Bar, Lodge, Resort, etc. It covers all aspects involved in running a day to day hotel, covering point of sales, inventory management and accounting online billing, up to finalization stage. Finac Garment software is ideally suited for managing garment retail shop. It covers all aspects involved in running a day to day retail business, covering point of sales, inventory management and accounting online billing, up to finalization stage. 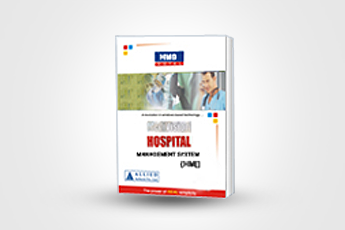 Hospital Management System software is specially developed for Medical, Pharma and Drug Shops. It covers all aspects involved in running a day to day medical retail business, covering point of sales, inventory management and accounting online billing, up to finalization stage. Medivision has launched three new Android & Desktop applications for Retailers(MVWRCC–MediVision Gold Wholesale Remote Customer Connect), Wholesalers(MVWRUC–MediVision Gold Wholesale Remote User Connect) & MRs(MVW–MR Connect–MediVision Wholesale Remote MR Connect). Founded in 1997, Allied Softech is a leading software development company in India, located at Pune. Over 12000 customers across various cities can vouch for the services that we have provided over a span of 18 years. Regardless of your industry vertical, we have designed our commercial software to give you peace of mind in your day-to-day retail operations, ranging from handling Point of Sales (POS) to taking control of your inventory to automating your accounting up to finalization. Allied has its software development and support call center located in Pune. Apart from our well-known software services, we provide professional, custom and clean web design and development services. Our company also specializes in Search Engine Optimization. Our SEO experts ensure your high ranking in search engines like Google, yahoo, Bing etc. and the team ensures complete satisfaction through transparency of activities, on time delivery, and prompts customer service. At Allied Softech, we deliver stunning yet simple design that will meet your business goals online and exhilarate the users, providing the right message at the right time. Our Strategic SEO helps you to never fall off the list from the major search engines. Let our strategic SEO professionals popularize the exclusive identification of your business online.